This article originally appeared in Image Parenting magazine, in Ireland. When I turned 30, I had a fantastic career and a lovely flat. A perfect life filled with friends, holidays, yoga, and dinners out. When I returned home after a day’s work, the television remote control was right where I left it. The dishes in the sink were mine. The shoes in the middle of the living room belonged to the lovely man I was dating. Yes, he had kids. Three of them, but I hadn’t met them yet. I was just having a wonderful time dating a man who just happened to be divorced. When I decided to marry him, life changed, to put it mildly. Suddenly, there were dirty socks on the kitchen counter top. There were toys wedged between the sofa cushions and plates of half-eaten food left on bookshelves. Most of the research done on stepfamilies shows that when a new stepmother enters a family and demands sweeping changes, chaos ensues. At the beginning, while everyone’s getting to know one another, it is important to sit back and observe how things work, essentially to honor how they have chosen to live before you came along. “Stepparents need to be respectful and observant,” says Patti Kelly Criswell, a clinical social worker who often works with children in stepfamilies. “Instead of saying ‘this is intolerable,’ make suggestions and ask questions: ‘I would like to see the house a little cleaner. How can we live together in harmony?’ If you’re a natural leader, it’s even more important to be really careful in this respect.” Still, it’s important not to feel powerless and voiceless in your own home. That’s where Dad comes in. Dads in new stepfamilies really have to do a lot of work to help the newly formed family succeed. He’s the middle man. He’s the one everyone-the kids, a new stepmother, the ex-wife-are all looking to for guidance. The more you and your spouse can work as a team, the better off everyone will be. In the early days, create a list of house rules together that everyone must live by. The list should include rules the kids already live with. 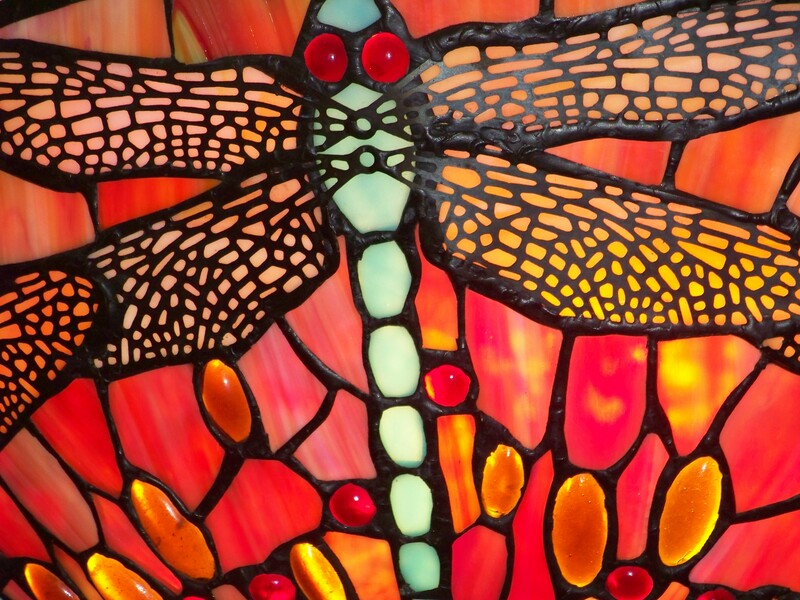 However, you can add a few of your own that are important for you to feel comfortable in the house. Dad then presents this list to the kids, outlining the consequences of not following the rules and explaining that you can enforce them when he’s not home. That way, in the eyes of the children, you clearly have the support of Dad but are not solely to blame for any changes. Women like Allison who have rocky beginnings but end up happy stepmothers are usually adept at surrounding themselves with people, a career, and hobbies that make them feel good. Working women say that keeping their careers when they join their new stepfamily helps them maintain a sense of identity during a sometimes traumatic transition period. Lauren and her husband Tom have been married for 25 years. Tom had full custody of his three young boys when they met and the couple later had three more children together. Right from the beginning, Lauren knew she had to continue to pursue her desire to be a doctor. “I needed my career for my own ego, identity, and self-worth,” she says. Ultimately, no matter what a new stepmother does to build a bond with her stepkids, it is her marital relationship that is the most important. Divorce rates for remarriages are higher than first marriages so to maintain the health and longevity of the relationship, a new couple must make their union a priority. Career girls-turned-stepmums know that juggling a job, a marriage, and stepkids can be a challenge. But they’re also brilliant at setting goals, building camaraderie and solving problems with creativity and passion-exactly what it takes to build a successful stepfamily. 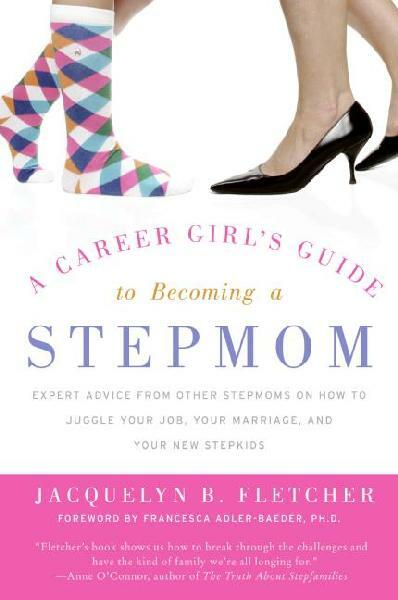 Jacquelyn B. Fletcher is a stepmum of three, mum of one, and the author of A Career Girl’s Guide to Becoming a Stepmom (HarperCollins 2007). Diane Fromme is a writer and 13-year veteran stepmom to Brittany (22) and Ian (20), who were six and four when their mother died. Her upcoming book, Stepparenting the Grieving Child, offers an insider’s guide to navigating the unique joys and challenges of living with a child whose parent has died. For more information and to sign up for her newsletter, go to www.dianefromme.com. You can also check out her blog. Here is the opening excerpt from her book. Printed with permission. The blue of seven-year-old Brittany’s eyes matched that of the cloudless sky over the softball field. I had offered to watch Brittany and her younger brother Ian at the playground adjoining the field while Brian, my fiancé and their father, played a tournament game. I clearly recall that when I was considering marrying Brian, everything lined up in my logical view of the world. I liked children: as a teenager I had been a youth leader and a day-camp counselor, and in my mid-twenties I mentored an at-risk, ten-year-old girl. Now, close to thirty, I had met a man who was kind, intelligent, and sensitive, and I was actually eager to help him and his children move forward in the aftermath of his wife’s and their mother’s death. What I didn’t know anything about was the distinct nature of stepfamily formation, its singular undulations and patterns, coupled with the effects of grief and the possible ways grief can manifest over the years. So without much further study than snapshot observations of the children, I launched optimistically forward into “I do,” which became a union of husband and wife and two children, not to mention two dogs and three cats. I also didn’t realize that Brittany and Ian’s mom, though deceased, was an essential part of our new family. In many ways, my blissful optimism was healthy: When you’re moving into the role of stepparent, it’s beneficial to become educated and gain assistance early on, during a time when you’re feeling positive and hopeful. And when you’re adding the challenge of stepparenting after a parent has died, some level of grief education is also vital. Of course it’s not too late to shore up your knowledge. Thank goodness, because I didn’t seek help right away. Willing Attitude + Stepfamily and Grief Education + Support Resources = Sane Stepparenting Grab hold of the opportunity to explore all parts of this equation, while at the same time reflect on how you arrived in a family where a child’s parent has died. 1) Stay calm, cool, and collected. There’s no point in blowing up at a kid, especially as a stepparent. It will only add tension to your relationship. Instead, stay cool when a kid deliberate tries to provoke you. It’s only fun for them when they can get a rise out of you and attract the negative attention. 2) Avoid power struggles. One of my stepdaughters recently complained about how her parents both biological and step are always telling her what to do. I pointed out that it’s not that we enjoy bossing her around but it’s our job as her parents to teach her how to become a successful adult. Because there wasn’t emotional baggage attached there was no power struggle. And instead of arguing with me, she shrugged and did what I asked her to do. 3) Understand what’s really happening. When a kid is acting out it’s important to know why they are behaving badly because there is always a reason. Last week my nearly eleven-year-old stepdaughter was fighting over the television remote control with her eight-year-old sister. We’d had a long, tiring week with a funeral and a wedding within days of each other. When we finally arrived home and settled in to take a night off, the girls started fighting over the remote when the younger wouldn’t give it to the older. The older girl bit her younger sister on the arm in a complete act of regression. Though she was punished for her behavior by getting a week with no screen time, her father and I understood that she was exhausted and not her usual self. 4) Blow off steam. There aren’t very many people stepmoms can vent to without getting an earful back about how you “should” be the adult, etc. etc. etc. Find at least one other pal who you can talk to if you’re feeling like you wish those kids wouldn’t be coming over this week. Make sure it’s a pal who understands how you feel and doesn’t think you’re a major jerk. 5) Don’t take things personally. It’s good advice but it’s easier said than done. How can you practice non-attachment? How can you keep your feelings safe when a kid calls you names, yells at you, or steals your things? Come up with several strategies to help you remember that a child’s behavior is usually not about you. It’s more often fueled by pain from the divorce, or anger at a biological parent. This month, do something to make your bedroom feel like sacred space. Install a lock on the door. Find new, luxurious linens. Blow up a picture from your wedding and find a special frame for it then hang it on the wall. Add some delicious smelling candles. De-clutter your closets. Then make sure the two of you spend time alone together appreciating the sanctuary you’ve created. Visit my other site www.smackyourinnercritic.com for more about the art of smacking down the Inner Critic. You get to choose what the payoff for joining a stepfamily is going to be for you. It starts with what your priorities are. What do you want in the long term? Do you want a strong friendship with your husband? Do you want to have your stepchildren come to you for advice and camaraderie? If you and your husband have children together, do you want all of the kids to love and protect each other? What do you want? You can build something beautiful with your stepfamily over the long term. Studies indicate stepfamilies that make it have a huge positive impact on the children and adults. Children learn about flexibility and about how to learn to get along with different kinds of people. Adults are reportedly more satisfied with their second marriages if they do the work it takes and learn from the past. But you’ve got to get through those tough years, as you do in any union. We have the power to see our lives exactly the way we want to see them, even if from the outside it looks like we’ve got it pretty bad. You get to choose. The thoughts you think every day are what give you power to either sink yourself into depression or uplift yourself by making you feel that you have purpose and meaning. So pay attention. When you write in your journal about your stepfamily, what are you writing? Is it mostly negative? How do you talk about them to other people? Do you slam them regularly or talk about their good qualities? Can you work to put more positive things in your journal or your thoughts every day? Can you have compassion for the other people in your stepfamily? Can you walk a mile in their shoes? Right now the reason you’re in a stepfamily is because you fell in love with that man you married. In the first years of marriage to a man with kids, when life is like a three-ring circus and the marriage is at its most fragile, it’s hard to see what the benefits are, especially after what you’ve given up to be in the marriage. And your commitment is immediately tested, even though you’re still in the process of building a foundation of friendship and lasting love with your partner. So how do you find happiness and joy when you feel like you’re constantly battling just to keep from bursting into tears? I interviewed stepmoms who have been in their marriages from two years to more than twenty to see if they had some advice about what they got out of marriage to a man with kids. Love. That great elixir. It moves people to do things they can’t imagine themselves doing – such as marrying a man with a handful of kids who are bruised and battered from divorce or death. It’s what we’re all here for in our marriages. The love stories we’ve all heard since we were kids are something to aspire to, but the tales usually end with a first kiss or wedding, and totally leave out what it takes to protect and maintain love. Arne is a good husband. He is the reason I am able to be in yet another stepfamily. He makes it possible for me to be a stepmother who has developed strong bonds with my stepchildren. At the very beginning, Arne showed the kids how it was acceptable to treat me. He was open to my talking about how it felt to be a stranger entering into his family. He was willing to hash out the details of a new stepfamily. We answered all the questions I posed to you and your husband in this book. And perhaps more than anything, he made me feel important. Without a doubt, he loves his kids with every part of himself, but he doesn’t ever make me feel left out of decisions. That way, I never feel like the kids come before me or I come before the kids. I am his partner. We are the adults and we both make decisions that affect our family together. And I love Arne with all of his imperfections and his past. His presence in my life has helped me clarify my values. 1. My spiritual and personal development and contribution to the world. 3. Our commitment we made when we said our vows. 4. Raising the children to be healthy, contributing, and confident adults. S.M.A.C.K.s for Stepmoms: Teach your stepchildren something they don’t know. This month, teach your stepchildren something. Show them how you do your job. Take them to a museum so you both learn about a new topic. Read a chapter of a book to them before bed. Take them outside at night with a map of the stars and a flashlight. Do an experiment from a science book. Go for a nature walk with a guide who knows about plants and wildlife. Take a tour of a local manufacturing plant. Visit a greenhouse. Teach them a song you know. If they’re older, talk about what you’ve learned about your career or dating or college. I am thrilled to announce that A Career Girl’s Guide to Becoming a Stepmom has won a 2008 iParenting Media Excellence Award! The book was chosen out of thousands of products for parents. My deepest thanks to all the stepmoms who participated in the project and for those who have since read the book and passed it along to your stepmom friends. I am deeply honored to know that the book has helped.